The County Durham Cornice from King Cornices. The County Durham King Cornice is a simple modern profile with a flat run and detailed frame - popular in any traditional or modern room and in any property. 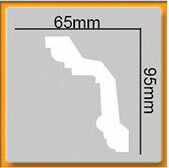 This King Cornice has a projection of 65mm and a drop of 95mm. King Cornices are hand made using light durable and polyurethane already painted in white primer. We use specialist couriers to deliver all our cornices and coving, therefore we have a minimum order of 20 metres or 65 feet. Please note that whilst our King Cornices are priced by the metre, our King Cornice products come in 2 metre lengths and therefore must be purchased in an even number of metres. If you purchase an odd number of metres you will be contacted by one of our staff to either receive a refund for one metre or pay for one additional metre. 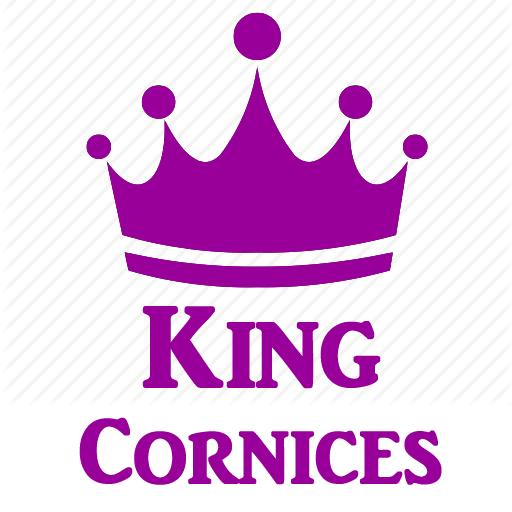 King Cornices are sold in lengths of 2 Metres. Samples are £2.50 - we also sell sample packs of King Cornices.